China has unveiled the world’s first ATM with facial recognition technology, which its designers say will help reduce theft and fraud. 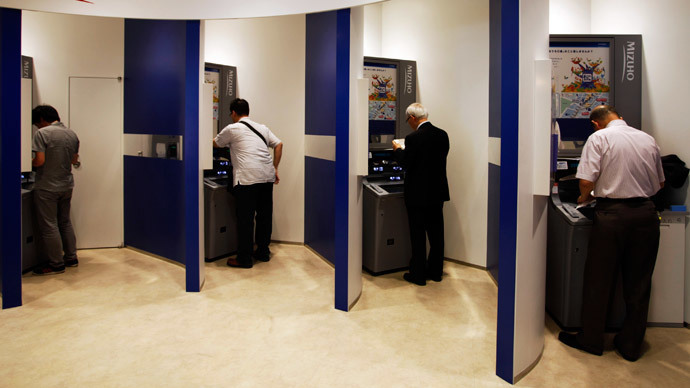 The ATM was developed in a joint venture between Tsinghua University and Tzekwan Technology in China’s eastern Zhejiang province,South China Morning Post reported on Sunday. The company specializes in security protection for financial transactions. The ATM is equipped with a camera, which takes a photograph of the user and then compares it to ID photos. It will also be linked to the local police and banks. The technology guarantees people using other people’s bank cards to withdraw cash won’t be able to. While this does stop fraudulent use, it also means you can’t withdraw money for a friend or relative, who may be ill or unable to go to the cash point. The new ATMs will also be able to record the serial number of bank notes deposited by clients to guard against counterfeits. The ATM is a homegrown Chinese design, although it’s still not clear which company will manufacture them. Their launch comes after the government kicked off its “Made in China” campaign last week, which aims to rebrand China as a country manufacturing high quality and hi-tech products and not just cheap goods. Cash machines in Chile and Columbia already use fingerprint identification, but biometric ATMs aren’t used in most countries, such as the US and in Europe because of their high cost and privacy concerns.